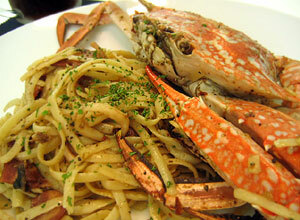 I’ve been having a craving for crabs lately and my chef of a wife made me this fantastic crab pasta for me for lunch. Wah Lau! 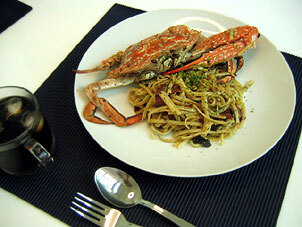 I was very suprised, cuz when she asks me what i want for lunch i always respond “anything you cook i eat lor”. I remember praying for a wife when i was in Sec 2 and i remembered requesting for a wife that could cook, but i never expected it to turn out this way. Thank God.